» Physical site characteristics for the ARCSS/TK stream dissolved organic carbon biodegradability (2011) data set. Andrew Balser helped to complete this table with the glacial age, Ecotype and Vegetation categories. Ecotype source: Jorgenson, M. T., J. E. Roth, P. F. Miller, M. J. Macander, M. S. Duffy, A. F. Wells, G. V. Frost, and E. R. Pullman (2010), An ecological land survey and landcover map of the Arctic Network. Natural Resource Technical Report NPS/ARCN/NRTR—2009/270., edited, National Park Service, Fort Collins, Colorado. Vegetation source: Viereck, L. A., C. T. Dyrness, A. R. Batten, and K. J. Wenzlick (1992), The Alaska Vegetation Classification, edited by U.S.D.A. Forest Service, 278pp, Gen. Tech. Rep. PNW-GTR-286, Portland, OR. 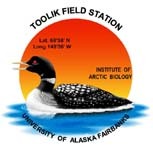 Watershed areas were calculated by Randy Fulweber at Toolik Field Station GIS.